The South London Partnership (SLP) has responded today to the Draft Mayor’s Transport Strategy (MTS) which was released for consultation earlier this summer. We welcome the MTS’s recognition of the vital role that Crossrail 2 will play in delivering the strategy’s ambitions, its ambitions for a London Suburban Metro and its recognition of Brighton Mainline Upgrade as the priority for capacity increases to radial rail services. 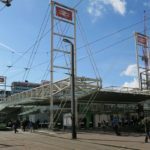 We also welcome the inclusion of the Sutton Tram extension although it should be officially recognised as one of the MTS proposals. However while we welcome the ambition of a significant modal shift towards more sustainable forms of transport we are very sceptical about whether the targets for outer London can be reached by the strategy in its current form. We are concerned that there are not more proposed transport improvements for south London or more consideration of the differences in achieving modal shift in outer London. Our response also makes the argument the MTS’s vision for London is co-dependent with the SLP’s vision of an increasingly polycentric London where Londoners have the option to find good jobs and leisure opportunities in a number of key centres which have good transport connections between them. For this reason it proposes that TfL, GLA and SLP should build on previous agreements to work together by co-developing a Sub-regional Transport Strategy covering the SLP boroughs and their key interactions with other parts of London and the South East. 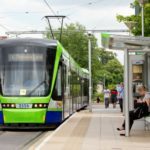 It would help deliver a number of aims including developing plans for ‘metroising’ South London’s rail services, determining the best new routes for buses and identifying and promoting proposals for further transport improvements such as connecting Thameslink and Northern line services at Morden South.